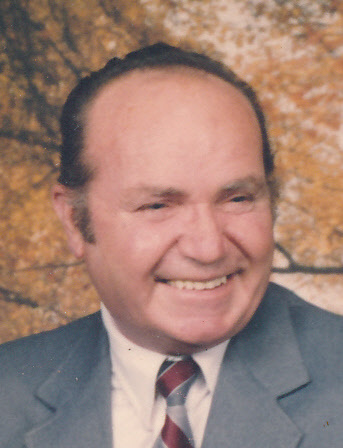 Vincent Santi, 90, of Sandusky, passed away peacefully late Monday evening, November 19, 2018, surrounded by his family at his home after a lengthy illness. Born on December 3, 1927, in the Republic of San Marino, the son of Marino and Catarina (Ceccoli) Santi. In 1948, in his early 20's, Vincent came to America. He had worked as a finish carpenter at Lyman Boats for 19 years and later went on to work at New Departure-Hyatt Inc. (a Division of General Motors) for 25 years, retiring in 1992. In his spare time, Vincent enjoyed the simple life. He loved tending to his garden and caring for his fruit trees over the years. So much, that he had received recognition of his accomplishments from the City of Sandusky and The State of Ohio as a recipient of the "PRIDE" Award, in 2009. He also enjoyed traveling and spending time with his family and his many friends. Vincent was a member of Sts. Peter and Paul Catholic Church, a life member of the Communita di San Marino of Detroit and a former member of the Italian-American Beneficial Club. Those left to cherish his memory are his loving wife, Teresa (Hop) Santi, to whom he married in 1996; his three sons, Michael "Mike" Santi, John (Rosalba) Santi and Mark Santi; and many grandchildren and great-grandchildren. Besides his parents, he also was preceded in death by his first wife, Delores A. (Davidson) Santi (1984); two daughters, Catherine Sue Santi (April 10, 2018) and a daughter-in-infancy, Catherine Ann Santi (1955); a brother, Doro Santi; and three sisters, Rosina Capiccioni, Yolanda Mazza and Maria Nanni. Visitation will be held on Sunday, November 25, 2018, from 4-6 pm at the David F. Koch Funeral and Cremation Services, 520 Columbus Avenue, Sandusky. Prayers will be recited Monday morning, November 26, 2018, at 9:40 am at the funeral home followed by a Mass of Christian Burial at 10 am at Sts. Peter and Paul Catholic Church, 510 Columbus Avenue, Sandusky. Fr. Matt Frisbee officiating. Entombment will be in the Calvary Cemetery Mausoleum, Sandusky. The family suggests that memorial contributions be made in his memory to Cancer Services of Erie County, 505 E. Perkins Avenue, Sandusky, OH 44870; to Stein Hospice Service, Inc., 1200 Sycamore Line, Sandusky, OH 44870 or to Sts. Peter and Paul Catholic Church, 510 Columbus Avenue, Sandusky, OH 44870.